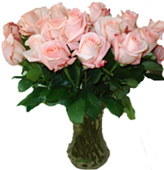 Read what people say about ASAP flowers and gifts delivery service across Ukraine. I have seen she gifts and they were great, many thanks. Yes, Marina was very happy, thank you. I truly appreciate your quick delivery and exceptional attention to detail. The flowers were delivered same day, as ordered. Thanks again for amazing service. You guys even managed to make a mix with red and white peonies! Thanks again for your help and service! Thank you for all your help the flowers made her day! I will be ordering more flowers from you in the future! You have earned my loyalty and my business! I look forward to using your service again. Thanks for your service. A satisfied customer will always return. As always, thank you for your great service and accommodation. I want to say Thank you to ASAP.ru for the professional service they provide. 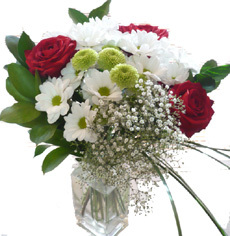 I've ordered with them many times, and flowers and gifts were always delivered on-time and in excellent condition. ASAP also has exceptional customer service with a Live Chat, and a quick email response. The staff is always professional and is a pleasure to do business with. I will only use ASAP for all of my flowers and gifts delivery services to Russia or anywhere. Dear Tatyana, thank you so very much. Yes, it has been recieved. I will tell all my friends about your wonderful service. Thank you for your excellent service. I have contacted my husband in Malaysia this morning and his family have received the flowers in a vase. They are happy with the beautiful white floral arrangement. Everything is good! Thank you! Hope you are doing well and had a successful Women's Day turn over despite the difficult economic times we are experiencing. I wanted to render a big heartfelt 'Thank You'(spacibo) for your efficient and hospitable delicacies in doing business in a most satisfactory manner. The flower deliveries (both) were executed with proficientcy and in a timely way. Both ladies were extremely happy and touched deeply by the beauty of the roses they received and I believe the memories of these radiant flowers will live on for a lengthy time period.My dear friend Ludmila, whose son recently had brain surgery and has undergone chemo therapy, and who has a magniminous heart, was tenderly touched deep within her heart at the surprise of receiving her roses for the celebration of Women's Day. My special interest, Tatyana,who celebrated her 50 th birthday March 6 th and works ceaselessly and tirelessly, seemed to experience a heart full of joyous love at receiving such an astounding delivery of represented love. I , in turn, am taking the time to let you know of my own joyful and heartfelt appreciation for your excellent service. Thank you once again!!! ( it seems all involved have had our own reason to celebrate regarding these tranactions) -indeed, what goes around, comes around! I continue to wish you a year filled with much success. Things are beginning to slowly show some signs of improvement in the economy here and it is my belief that with a little patience, we will arrive at a place where optimism will again triumph..it is in part a question of personal good faith and courage.So, many goods thing your way and it has been a pleasure doing business with you...always!!! Until the next time and occasion.... Please ...be and remain well!! Norman Croteau P.S. Flowers at least in my mind) have a way of making the earth smile with ongoing pleasure , as they also bring unending joy to those who take the time to 'smell the roses' along the way....Have a great day! The service was impeccable - perfect in every way - professional communications - on time delivery - and the flowers and basket were as depicted - I saw the basket and it is beautiful. No one could ask for more. Perfect ! A special Thank You for you Tatyana - I appreciate all your efforts. I will be a return customer - !! I want to thank you and the staff at ASAP for following through with this difficult delivery. You can be sure I will use your service from now on. The flowers were beautiful and the photos crystal clear. Balshoye spasiba !! Many thanks for your usual prompt and efficient service. you. Have a great day. I just wanted to let you know that the flowers were very good, you can see how pleased Anita's mother was to receive them. everything is good and she loved the flowers. Vse prekrasno dostavleno i samoe glavnoe ogromnoe udovolstvie dostavleno moej podruge. Thank you. I will recommend you to everyone I know. Thank you very much for delivering roses to my fiancée on time. Super fast delivering! Your service is excellent! FIVE gold stars for you! Again, thank you for everything. as they used to be :). Anyway, thanks again and have a great day. Thank you so much for all your trouble. The pictures came out great! I apppreciate all your efforts! Thank you very much Ekaterina! THANK YOU VERY MUCH, GUYS.I'LL CONTINUE TO USE YOUR SERVICES IN THE FUTURE. I am so excited! Yes I plan to order more here soon as well! ??????????? ?, ??????? ?? ???? ????????. ????? ???????? ?????. Dear ASAP team I m very happy with your service ,my lady was happy and I m going to continue the busyness with you in a future,thanks again! ?? ??????? ????? ??????? ?????? ? ????? ???????!
? ????????? ????? ????? ???????????? ?????? ????????. My fiancee was very pleased. experience for my wife Olena. She was in pure heaven! You are the best and your assistance is very appreciated in this matter. Thank you, the quality is fine. It is nice to have new photos of Olga. I am glad that you were able to arrange delivery. I hope to use your service again. Thank you for delivery!!! My family was happy!!! Thank you for your cooperation! appreciate how well everything is done. Thank you for your great service that I have been using for several years! ....Thank you again for the greatest service on the planet!!!! hesitate to use your service again. and the recipient is glad! My family was very impressed with the Gift Basket you delivered. I will definitely use your services in the future. Thank you very much for your work, my girlfriend was very happy! And it is important for me. I just want to say a ibg "THANK YOU" to all there - i got a sms from a very happy young lady today!!! Please accept my profound apologies for causing you so many problems and thank you again for dealing with my problem so quickly and efficiantly.I will definantly be using your company in future. Many thanks for your great service, gifts delivered on time. Thank you very much for the delivery! The flowers were great!! As me as my girlfriend are very pleased with the service, now the third time. As she continues living in there I will always use this amazing service. Again thanks SO MUCH for this great service!!! I can't thank you enough. I'm at your service if you need me on this address. Thank you so much for everything, the photographs of Natalia were a pleasant surprise. I have used ASAP.RU several times in the past and I consider you the best, I am sorry that the website is giving problems for your company but I am sure it will improve very soon. We are both very happy about the beautiful flowers that my girlfriend got. love between humans grow up. she could coordinate with the delivery man. thank you, this second time I thank you even more. You have a great company and its a pleasure doing business with you. My friend has received her flowers and loves them very much.? I can not thank you enough.? Please keep me on file because I will be using you again.? Dear Tatiana, I want to Thank You once again for your great service. Your flowers are beautiful, and your specialty products are always as promised. May I ask if my Yulia was awake when delivery was complete to her?? Thank you very much for great service. I will definitely recommend you to my family and friends. Picture, flowers and gifts looks very nice and I look forward to order again with you. My girlfriend got the flowers today as we were speaking. I can't thank you enough!!! Deffinitely?great arrangements, very beautiful and carefully picked flowers. Thank you?very much. Now I know where to go if I need any more flowers of gifts. Yes, my girlfriend called to let me know that they arrived and she said that they were beautiful.? She was very happy, and so am I.? Thank you! Wow - that was SUPER !!! Order already delivered so Fast and Good !!! boundaries of the miraculous World of Flowers. busket was very beautiful and impressive! Thank you so much for your prompt delivery! What a great service!! the flowers were delivered on time. feel she is happy with the gifts and ASAP service. Great! Thank you very?much. You've done a great job! time and bouquet is perfect! Fresh and beautiful!! Thank you very much for your work!! with you and will never go anywhere else! FANTASTIC! Keep up the great work!! As always thank you!? You have always done a wonderful job for me even when it was almost impossible to find someone.? and how simple it was.....Maybe a bottle of champagne for me.. who knows! Till next order - all the best. video. It means so much to us!! us they were pleased also!! Thank you very much.? I did get the picture! Thank you! We look forward to the photos :)! The children were very excited about the basket and the sweets!! lot-I will use your service again. I love your business! You are wonderful! Thank you for delivering the gifts to my loved ones in Russia. The pictures are great! Thanks again for a job well-done! THANK YOU,everything's fine! !I can see it now. Nice day, and I will be ordering for Xmas for sure with you. Thanks a ton for all your help, i be using your company again in the near future. Dear Maria and Natalia ! Thank you very much for delivering my gift exactly the way I wanted. You proof to be the best again and again! It was a pleasure to deal with you all! It was a pleasure to deal with you again! As always, I will recommend you to anyone looking for highest quality flower delivery to Russia. photos is so appreciated! Again, thank you so much for the beautiful flowers and boxes of chocolate!! We will be using your services again!! Thank you so very much for delivering the backpacks and school supplies to the dear children in the Detsky Dom. I absolutely love the photos!!! I know the girls will use these items and it makes me very happy to see their faces again and to know they will have some new things to start back to school. Your service is honest, dependable and very much appreciated! Thanks for the effort. You are most gracious and pleasant company to do business with. You deliver excellent customer service, which is something that is lacking in some companies in the United States. Thank You very much Polina for everything! I look forward to doing business with you again. Great! You guys are awesome! notice giving me a lifetime 15% discount. Thanks very much. I really apreciate this and I will be a returning customer. I really appreciate your good cares! and was very pleased. Thanks! And thank you Polina for your assistance! It's the good service and quality that keeps me coming back. You do very good work. Thank you for your prompt reply. It is very good news that your agent will be able to deliver a gift of a mobile telephone to my Russian Fiancée, I am happy. Thank you for all your assistance Polina! Yes, and as usual, you and your Ukrainian florist did a wonderful job. You always amaze me at how good your service is, and at how you always go beyond my expectations. I want you to let your delivery person in Dnipropetrovsk that I appreciate her and her husband for all they do. I've ordered flowers from your company (asap.ru) several times in the past, and I've always had them delivered to my Russian Fiancée's work in Novorossiysk. She and I both have always been very pleased with the flower delivery and quality. No need to thank me for the kind words, you were very deserving of them. Thank you so much for your lovely, friendly & very speedy reply. Thank you so much! I appreciate your help, and the personal service. Thank you very much for your efforts. Again, you have earned my trust and you will have all of my future business. your company has always provided me. Yes, my family was very pleased with the present. Once again, thank you very much!!! It was a pleasure working with you. Much appreciate your reliable service! [17:58:08] Marco Nierlich wrote: your flowers were spectacular! thank you very much again! general. I will definitely make use of your company's services again. Next time I will also have the lady's telephone number. Thank you so much for your practical help. I wanted to take the time to thank the two of you for all of your help. future needs. You have gained my trust and graditude. Thank you very much. It is a wonderful service that you give. - I didn't know who to turn to at this difficult time... I thought I would register as you have provided me with excellent communication and fast response. Thank you. Thank you very much for your kindness ... will use your services exclusively and I have saved your site on my computer. I hope to need your services very very soon. Thank you, SPACIBO! for your quick response! Thank you very much for looking into this for me, I really appreciate it. I'm sure I'll be in touch with you again soon when I make another purchase. You all do a really great job and I'm very pleased with the service you provide. I will recommend your service to all of my friends and whoever needs it. Thank you once again !!!! ...you've been very helpful and I appreciate it. beautiful and the receipent was most pleased. Samuel L.. Thank You very much Polina. You are awesome!!! Ot leech na!!! Thank You Polina and I appreciate your great work and help in this matter. THANK YOU SO MUCH!! You did a wonderful job. Thanks very much the quick reply. when I was there last year ! I will continue to use ASAP.RU in the future, knowing that you do care that transactions are always completed. Thank you for the pictures! They are beautiful! The gifts you sent to my children were wonderful! I just wanted to say thank you for again providing such great service. Both of my orders that you process a couple weeks ago turned out very well. I look forward to doing business with you again in the future. Thank you, very satisfied with your service. Thank you for wonderful service. She thought your delivery person was very nice. I will use your service soon, again. Thank you for wonderful service. She thought your delivery person was very nice. When do I receive picture that was taken. I will use your service soon, again. 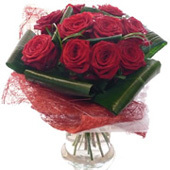 recommend you to anyone who wants to send flowers to someone in Russia. Thank you, the flowers and candy were delivered as requested. My lady was thrilled!! I must tell you how happy I am with your service. A very nice basket was delivered yesterday, and it was enjoyed by my friends. I also received a very nice photograph. But, this morning, I also received two more pictures, obviously candid. Both Olga and Annet are professional models, they are used to pictures being set up. But your photographer, Inna, took some pictures they didn't expect ... during the set up. Both cried they laughed so hard at her pictures, she must be very good. These are wonderful pictures, I wish to thank her for these, so funny. Please tell her how much pleasure she has brought to all of us. I will place my next order for Easter, I would very much like to have Inna take the pictures, my girls like her very much. As always, I am pleased with the service that I receive at asap.ru. Your company's customer service is wonderful. I only wish companies here in America could learn from the rest of the world. I will be buying again from you soon. Maybe not St. Valentine's because she will be on vacation then. from you again for Valentines Day!!! Recipient has told me how beautiful the flowers and arrangement are, thank you for doing such a fine job. Thank you very much, that's perfectly fine. Pleasure to cooperate with you, you have been very effecient and in the future we will surely use your service. Incidentally I want to congratulate you on a very professional service and will probably be using you again in the future. I would like to thank you for a terrific job. This is the 3rd time I sent flowers in 6 weeks. I'm very, very happy . My girlfriend loved the flowers. Each time the service and the flowers keep getting better and better. All I can say is thank you. Job well done. Nick from New York. All staff at ASAP.RU: MY BEST WISHES FOR 2006. Hello my name is Richard,i used your services last week and was very happy with your fast service !!! I will use you any time i need to send gifts to St.Petersburg Russia .Thank you again !! You are brining a lot of hapiness to people. are a good company and that is what I will tell people. Thank you for reaching Julia in Zaporozhye, Ukraine with the flowers I sent. I don't know how you do this, but I'm so glad this delivery service is available. You do excellent work finding people who are hard to find. Thank you. The flowers have been a great success - thank you for your help. There is at least one happy girl in Ekat today! Thank-you much. You guys/girls are great! Wow . What can I say ? She absolutely loved the flowers. Its often difficult to make a relationship work from different continents, but thanks to your service and quality its in good shape. I thank you very much and will soon be using your service again. Thanks again, Nick from New York. I am absolutely happy with the excellent service, your response and your web site..
Kind thanks once again for a super bouquet, we REALLY appreciate it. greeting, and I just wanted to tell you that I was very impressed! Businesses in the US have no such care about the people who buy from them! when and if the need arrises. I feel you have an excellent business. Thank you very mutch for your delivery in Ridder (leninogorsk) Kazaksthan, on time and as orderd. Thank you very mutch for your discount in future orders. My friends where crying the whole morning whenn they recieved the flowers. Thank you. I am going to make my order in company again. are super, nice and young and fresh, and Olay is very pleased. when we could not be there!! Whatever you wrote, she understood and liked it. :) The flowers are beautiful. Thank you for the excellent service. It is difficult to know about foreign companies and credit card security. You will have all my Ukrainian business. Thanks for great service. We are very pleased with how this worked. I just want to thank you for the delivery of the gifts which I ordered through your web site to Alamty Kazakhstan. too. The flowers were beautiful. between us, You done it wonderfully. Count me as a satisfied customer who is about to give repeat business. are very happy with your wonderful service. May I ask that you add Channel NO5 to your list of perfumes it would be greatly appreciated. I wanted to take this time to thank your company so much. During the last year you have provided an invaluable service to me and Marina. Because of your professionalism and promptness, I have been able to make my relationship with Marina complete. Marina has commented to me several times, that because of the service's your company has provided (Flowers, Fruits and Gifts) she feels that I attend to her needs and also, she feels very loved by me. I have indeed put your business into my favorites. ... I have already passed on your business to my good friend Nelson that plans to use your service soon as he and his wife have friends all over the world. Thank you very much for your assistance. The delivery have taken place and everything is lovely. Thank you again for the pictures and for answering our questions. that you thought she needed. and will have no problem using your services again. you've done. You have a wonderful service and I look forward to doing business with you again. Hi thanks for your delivery,my girl friend loved the collections and it made her happy.Good work !!!. recommend your services to anyone that is in need of Flowers delivery. Thank you for your prompt service. Both I and my friend were very impressed, and I will recommend you in the future. You have went way above and beyond normal customer service. She recieved it last night. I really can't Thank You enough. Please express my personal thanks, as you can, to all who made this delivery such a success!!! Thanks for the reminder Natalia. My lady just Loves roses and I like them to eat as much fresh fruit as possible so that is what I ordered is roses and a fruit basket. How can I go about sending a letter letting eveybody knowing how happy I have been with the service Your company provides? I really helps out the distance between me and My Oksana. service again sometime in the future. Thank you very much for the correct delivery which my girlfriend is extremely pleased with and she says that they smell wonderful. As a result of your sorting out the problem I cannot but praise your organisation too highly. Should my girlfriend still be working in Kazakhstan on her birthday in June I will order from you once again. My order was delivered (Order number: 3188). Thank you for an accuracy and a personal care. MY BIGGEST PROBLEM WAS ,I COULDNT SEND ANY GIFT ESPECIALLY FLOWER BEFORE FIND YOU.FROM THAT DAY YOU ARE MY BEST FAVORITE COMPANY IN THE WORLD. OF COURSE I MADE HAPPY HER WTH YOUR GREAT HELP.THANK YOU. Thank you so very much for the wonderful pictures. You and your company and done such a good job. I will definitely use your services in the future. First i must to say thank you for the delivery.YOUR REALLY PROFESSIONAL.I like cooperation with you!!! I can't thank you enough for the beautiful pictures of my girls. I have been crying tears of joy. I have not seen these children in over a year because we have had problems getting a court date to return to Russia and adopt them. They are wonderful girls and I love them so much!!! You went far beyond my expectations with the gifts! You gave them even more than I had hoped for. I will definitely order from you again and I will tell others about your great service. Thank you very much for the beautiful picture of Regina with the lovely rose and box of chocolates. I am so happy to see her! I have already recommended your company to a friend of mine who is hoping to adopt a 12-year-old girl from the same Detsky Dom. I heard about asap.ru from another adoptive parent who was very pleased with your service and the gifts that were sent to her son in an orphanage. I will not hesitate to place another order through your company in the future. Regarding this order I would like to express my thanks to you. Thankyou very much, I am very happy with the service and hope to use it again soon. Thank you for delivering the gifts to the children in the Detsky Dom in Nyagan. be our no. 1 preference. Hi, Thank you so much for all of your help. I look forward to future business with your company. Also, my fiancee and her mother were very happy with your previous efforts. I just wish to pass this note along to you and your staff, thanking you for your excellent service! It is because of this extraordinary service, you have enabled me to make someone I dearly love very happy today! In the future, I will not hesitate to use your services again. I will highly recommend your company to my friends! the time to mention one very special and helpful employee that you have. to not write and tell you. Thank you again for all of your help. Is there someone I can write to, so I can recognise your excellant help to me. You have always been very prompt and helpful. My good experiences with ASAP are largely due to your efforts, I believe. Karina loved the roses. You have my highest recommendations. Thank you so much for the discount. I have used your service many times and plan to do more business in the future. I am impressed by your delivery...my friend in Belarus was extremely happy with the bouquet they received. I have used American companies in the past and had problems with delivery, but your service is extraordinary! I recommend you highly to any friends and look forward to our partnership in the future. Thank you very much for the photos you sent to me regarding Almaty delivery. My Mom was very satisfied with your employees professionalism and politeness. I appreciate it very much, and will recommend you as the best service for delivery to Russia. 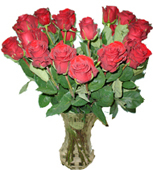 Recently I ordered some roses to be delivered to Novosibirsk and I want to let you know what a professional job you did delivering them. The woman you delivered them to was extremely happy to receive them and the photo you sent back to me of the delivery was of great quality. It is nice to know there is a reliable service like yours and I will be sure to use your service again in the future. Thank you very much for the splendid bouquet delivered to my friend in Moscow. Both the addresee and I am entriely satisfied with your service and shall recommend it to friends and colleagues whould they need such items in Russia! I am Thierry from Geneva. I wish to thank you for your efforts to deliver flowers in Novogrudok - BELARUS. The flowers were beautiful, and all people there were very happy. I was truly surprised by Your service - GREAT JOB! You were my onliest way to contact the most important person for me - my mother. If I ll have any other thoughts to do something like I did, I bet You ll be the one I asked. Hi! They got the flowers and were so surprised. They actually got them on their anniversary which is the 20th of May. Thank you so much. I have recommended your service to many people. Thank you for your delivery to my friend it was on time and the photo you sent back to were great l could not be they but l could see the smile on the face made it all. Thank you very much for the next day service!! My girlfriend is very happy with the flowers. I know I can order from your site with confidence. Sincerely. We want to thank you so much for the delivery to the orphanage and the pictures that we received. They meant so much to us. The service of your company was wonderful. I have posted a note and the address of your website to an online group of people who are adopting from Russia. Hopefully, you will get more business when people read about your wonderful service. Take care and Thanks again! May I take this opportunity to thank you very much for your prompt delivery on time of my order . My sweetheart has flooded me with e-mails expressing her surprise and gratitude. I will recommend your company to any, and all, that this company delivers on its promises. Many thanks again, I hope to become a regular customer from this point onwards.